Shortly, I’ll be reviewing a novel by a former British soldier Aly Renwick. 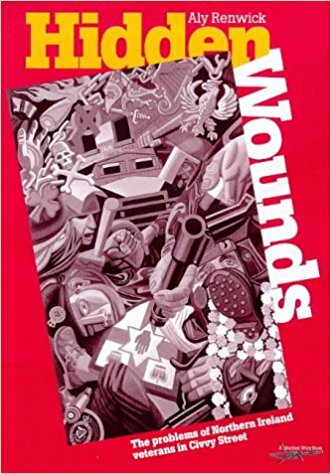 But the video of Razon reminded me of a book that Renwick wrote eighteen years ago in response to the British government policy of refusing to acknowledge the number of British soldiers suffering from Post Traumatic Stress Disorder as a result of the conflict in the North. I reviewed that book, Hidden Wounds, for the Irish Examiner. Here it is. IN 1978 a former member of the Argyll and Sutherland Highlanders, reading about the latest murder of a young girl by the ‘Yorkshire Ripper’, was conscience-stricken and walked into a Glasgow police station. The nature of the killings by the Ripper, particularly the multiple-stabbings, had evoked memories of a night in October 1972, when two Catholics, Andrew Murray and Michael Naan, were murdered at an isolated farm in County Fermanagh. At the time it was thought that a pitchfork had been used and that the killings were sectarian. 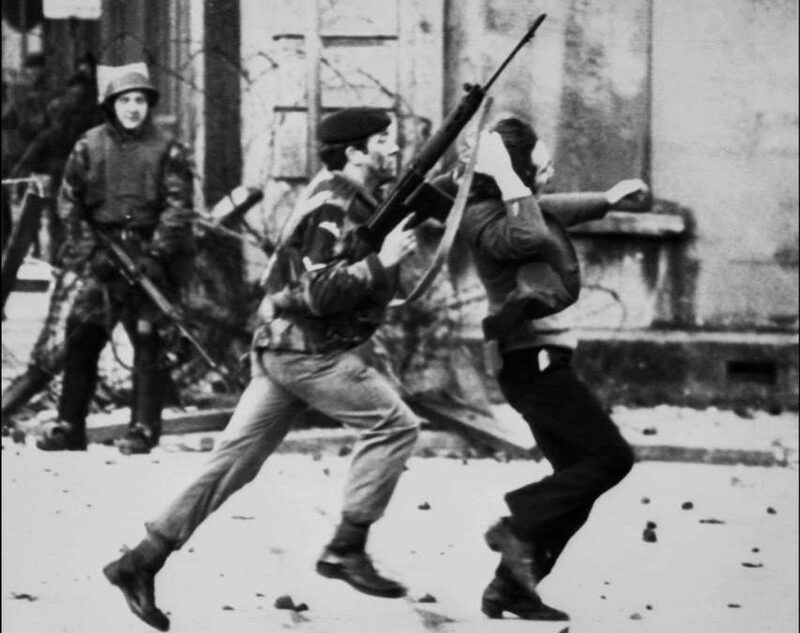 However, the former soldier told police that two British army sergeants from his regiment had carried out the Fermanagh killings and he was concerned that the Yorkshire killings were being carried out by the same people. As it turned out there was no link between the two crimes. However, arrests were made and convictions followed. During the trial of the two sergeants the ex-soldier received death threats which he believed came from members of his former unit. Taking umbrage he then went public in the Scottish Sunday Mail with a dossier containing information on up to forty killings carried out by fellow soldiers in Aden fourteen years previously. This provoked an intense correspondence and among the letters were some from ex-soldiers, telling how the terrible events in Aden had been playing on their minds. A soldier was supposed to only fire if an Arab refused to respond to three calls of ‘Waqaf!’ which means ‘Halt!’. But some treated this as a joke and would shout ‘Corned Beef!’ before gunning down Arab civilians and suspects. Others told of how they opened fire on a shanty town killing innocent people. Aly Renwick, a long-time Troops Out of Ireland activist, who served in Aden and spent eight years in the British army, has, with the help of ex-soldiers, written an expose about a subject to which the British government and the Ministry of Defence have turned a blind eye – Post Traumatic Stress Disorder (PTSD), suffered by British soldiers. PTSD is a syndrome arising out of a disturbing experience which is then trapped in the victim’s memory and can be triggered at any time. In the quiet Suffolk village of Nayland in 1989, ex-corporal Michael King was out walking with his wife when he suffered a flashback and imagined he was surrounded by IRA men. He ran to his house, took up a position at the front window of his flat and began shooting on the vicarage. A former paratrooper, Michael Asher, in his book, Shoot to Kill (1991), wrote: ‘Northern Ireland… turned us into savages. We begged and prayed for a chance to fight, to smash, to kill, to destroy: we were fire-eating berserkers, a hurricane of human brutality…’ Any nationalist who has been at the receiving end of a British soldier’s baton or bile, has long known that such violent behaviour could do nothing only brutalise them. Yet the suffering of these soldiers and the nightmares they bring back to their families and communities in England gives no cause for satisfaction. They can leave the army and Ireland but the army and Ireland doesn’t leave them. In fact, anyone who lifts a gun, or a baseball bat or plants a bomb, also risks destroying something within. What distinguishes one combatant from another is the perception of the righteousness of one’s cause. Those soldiers who felt they had taken part in a dirty, morally corrupting war, were more vulnerable than those who felt that they had taken part in a ‘just war’: the latter could come to terms with the horrors they had witnessed. It was the involvement of the USA in Vietnam that most awakened people to the severe psychological problems that war can bring to those that fight them. Although 58,000 Americans were killed in Vietnam, it is estimated that back in the USA some 110,000 Vietnam veterans have died from ‘war-related’ problems. Renwick’s limited resources have unearthed statistics showing that a disproportionately high number of former soldiers are serving time in jail in Britain for a wide range of crimes. He believes many are the victims of PTSD. Renwick’s study has revealed only the tip of the iceberg: statistics and stories gathered through word of mouth or a perusal of the press. During the peace process the hidden sufferings of victims and their relatives have rightly, though not consistently, been highlighted.